You know what’s a huge relief? Realizing you didn’t kill all of your study organisms. 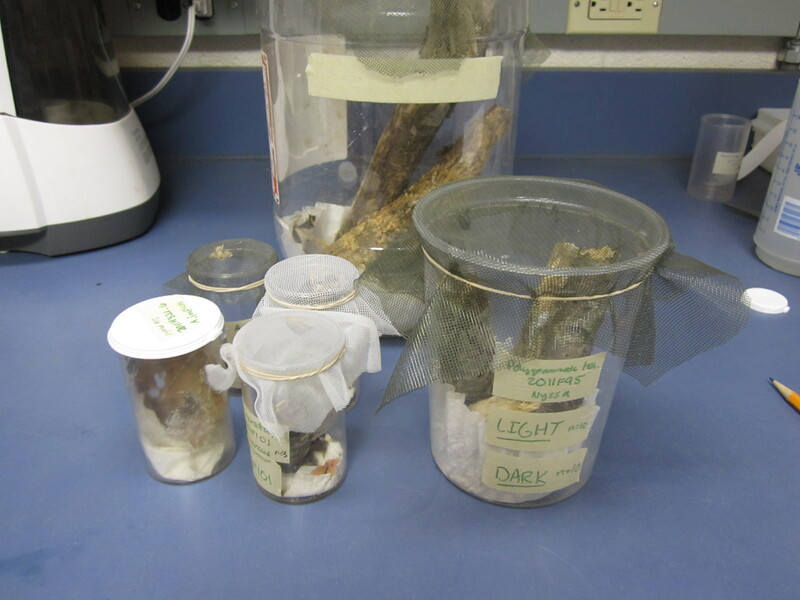 I wasn’t sure what to do with all of my pupae for overwintering. My advisor kept his covered in his garage, so they were exposed to fluctuations in temperature, and protected. I don’t have a garage or anyplace to put a few boxes full of vials. I decided to keep mine in the walk-in cooler across the hall in our building. It’s very dry, so I had to mist the containers (they were covered with mesh) every day with water. I sort of didn’t do that every day. I’m pretty sure at one point I went a week without giving them any attention. 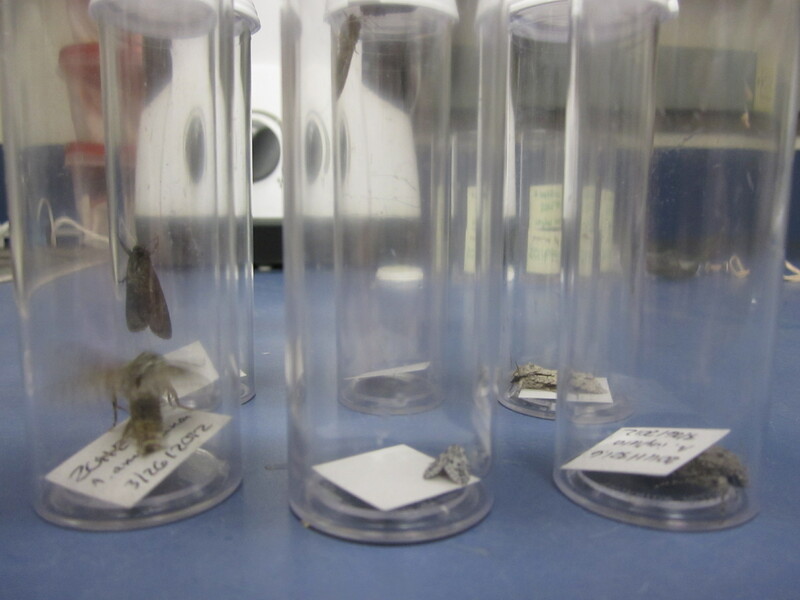 But I also remembered being told that pupae and larvae can be killed by too much love, as well as not enough. Last week I took them out of the cooler to see if they would start emerging. It turns out I gave them the right dose of attention, perhaps mimicking the fluctuating conditions they would experience in nature. Because last weekend I had a bunch of emergences!! These are all moths that I raised all the way from eggs. I’m so proud. Here is the first batch, in their containers. 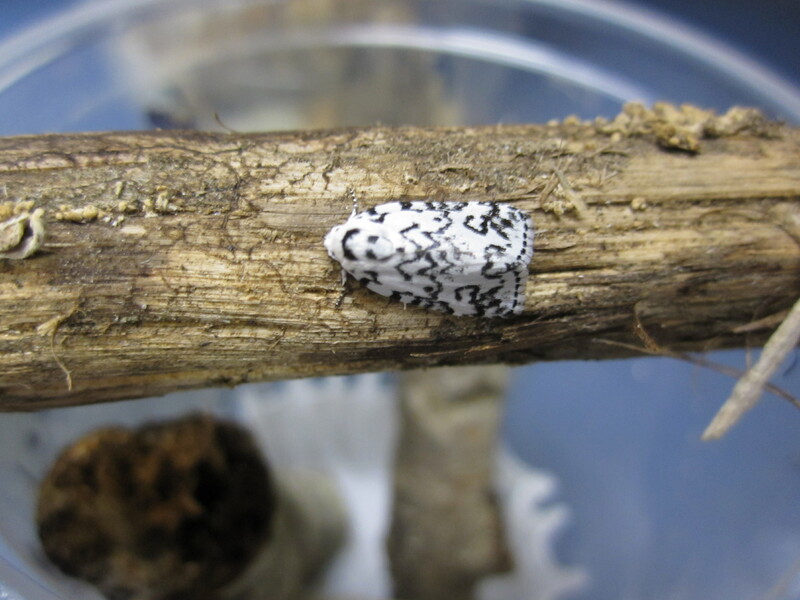 Here is one of the prettiest ones, Polygrammate hebraeicum. It is a relative of Acronicta within Acronictinae. One of my favorites, the giant Acronicta americana. Here they are in their temporary vials, about to go into the fridge and cool down until they are ready to be pinned. It is best to work with them when they are still fresh. Yes, though they are my darling little insects I raised from eggs, they have reached the end. I will save some of their legs for DNA samples in ethanol. Their bodies will be pinned and spread for morphological analysis and preservation for posterity. 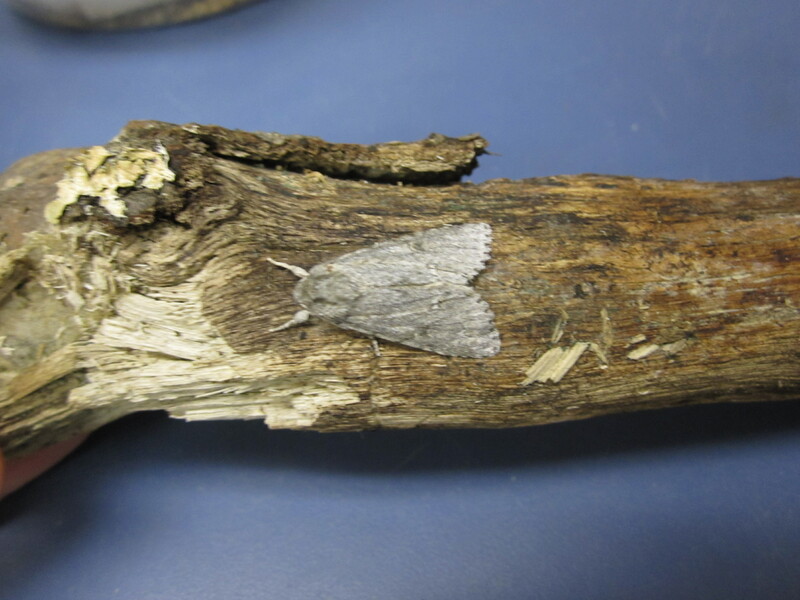 Posted on April 1, 2012, in Acronicta, Acronictinae, Invertebrates, Lepidoptera, Noctuidae. Bookmark the permalink. 2 Comments. Congratulations! and raising them from the egg probably prevents parasites from getting in, although I just photographed a calcid wasp ovipositing on coreid eggs. But I guess those coreids will not hatch at all. It’s hard to rear caterpillar eggs to completion. I have failed many times, especially with difficult ones such as Luna and Polyphemus moths. Keep up the good work.